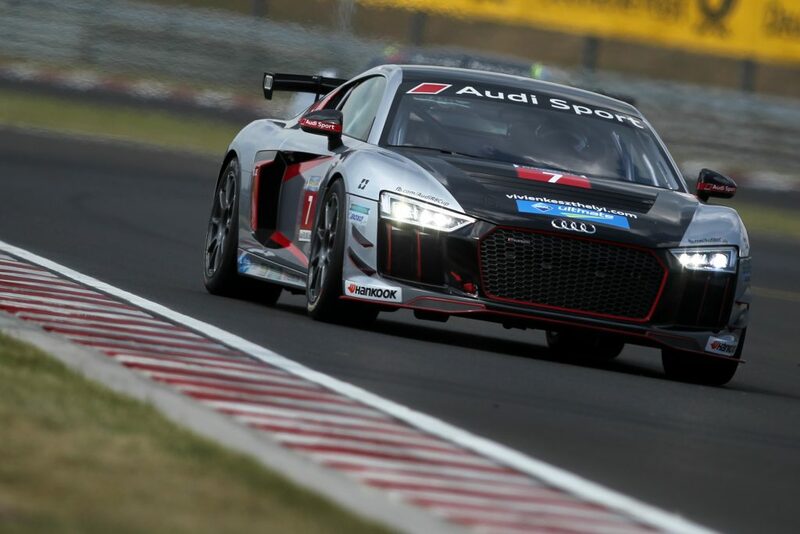 The waiting was over as the Audi Sport Seyffarth R8 LMS Cup continued after two months for the amusement of the fans. The next stop was Brands Hatch, which rejoined the schedule of the DTM series following a five-year break. 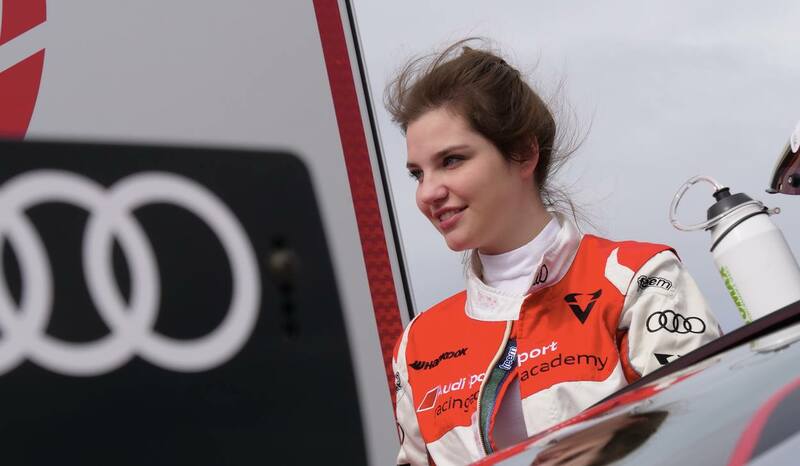 The race track challenged even the most experienced driver, and it was even more difficult for Vivien Keszthelyi, who has not been at the English circuit before, but the young Hungarian touring car racer proved herself again. The legendary race track put the drivers to the test, including 17 years old Vivien Keszthelyi, who took her first laps during the free practice on Saturday. Her ninth-place finish in the first qualification session showed that the Hungarian racer would need some time to get used to the circuit, which is famous for its high altitude differences and unpredictable bends. During the race, she became more and more confident as time passed by. Eventually, she acquired the seventh position in overall and the second in the junior category, but the junior trophy was not her biggest achievement of the day. Vivien took over the second position in the absolute overall rankings of the championship. “I am happy for the second place in the overall absolute rankings, but tomorrow I need to perform better. Unfortunately I did not have the opportunity to test at the track before the weekend. I only had a free practice and a qualifying session to gain experience here, but I could get to know to the pitch during the first race” – assessed Vivien after the race. The weekend continued with another complete race on Sunday. Keszthelyi had already had some experience on the circuit by then and she finished seventh in the qualifying session, improving more than seven tenths of a second on her previous qualification result. The Hungarian driver started the race with killer instinct as well, she hunted her opponents and was already in the fifth position by the end of the third lap. Round by round she closed the gap between her and fourth-placed Robin Rogalski. There was five and a half minutes to go when her time came, and she grabbed the chance. Keszthelyi took over the fourth position with a ruthless move in the end of a straight, leaving the helpless Polish no chance in the inner arc of the bend. The excitement factor was ended by the weather as it started to rain with four and a half minutes on the clock, and the safety car came in to lead the line throughout the remaining time. Vivien Keszthelyi finished fourth overall and second in the junior category. Keeping the second place in the absolute overall rankings of the championship, she developed a 10 and a half point lead in front of the third position. „It was not easy, but I certainly improved for the second race. Only a few centimetres decided the success of my last takeover. All in all, it was a weekend of good result, but my goal remains to be the first place in every competition. The next stop is Misano, which is another uncharted territory for me. The evening races always give a certain atmosphere and I can’t wait to visit that track as well” – said Vivien Keszthelyi after the second race. In two weeks time, Vivien will compete in two complete evening races in Misano, Italy.